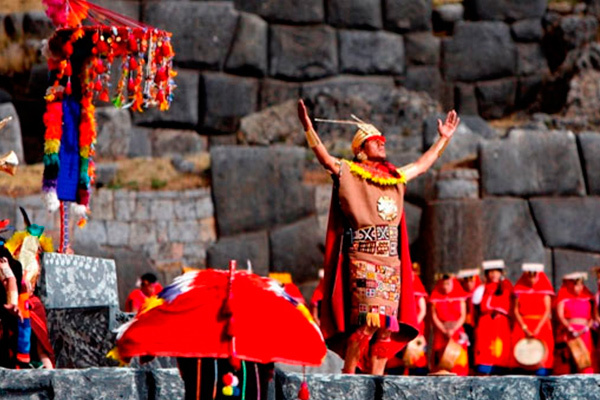 The Inti Raymi or the Festival of the Sun, was the most important celebration for the Incas. It is a representation of a religious ceremony to the God Inti. According of the legends, the Inca (The supreme governor) was considered as semi-divine, whose powers was given by his father, the Sun (Inti). This festival used to be celebrated as it is now on winter solstice. The winter solstice was also consider as a new year in the Andes. (This tour leaves one day per year, only June 24th). This ceremony is celebrated with colorful dances and processions, as well as animal sacrifices to ensure a good cropping season. We meet you in the lobby of your hotel in Cusco to take you to the starting point of the festival, the Coricancha Temple in Cusco around 8:00am, then the scenery continues to the Main Square (Plaza de Armas) to end with the great artistic activities in Sacsayhuaman archaeological site. 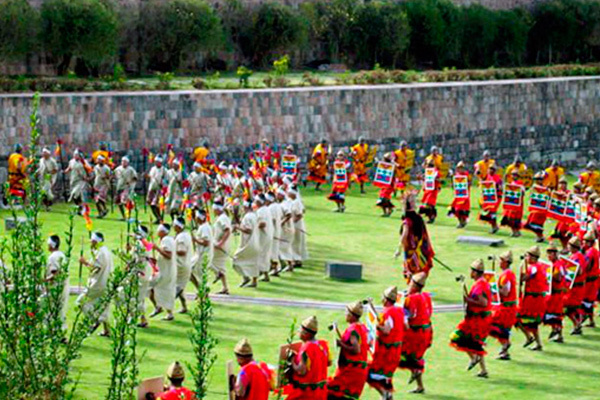 During the festival you will enjoy of many typical musicians, dancers, actors and actresses representing the Inca, the Coya (wife/sister), the armies coming from four quarters (suyos) of Tawantisuyo (the Inca Nation), sacred priest, etc. and many different ceremonies and offerings for fire, coca, etc. 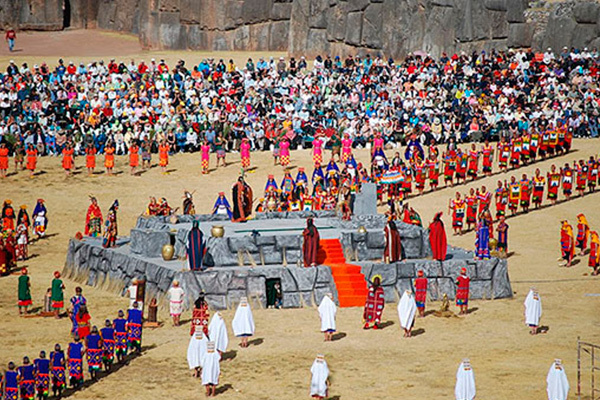 Ceremony is in Quechua, the native language of the Incas, you will be provided with details information about the event, also your guide will be able to translate parts of the ceremonies. Also is available the Green side (by the sides or back), which is more economic, ask for further information. The itinerary has some flexibility; in order to provide the best experience possible it may be necessary to make minor alterations.